The Master Flow 14 in. Starting Collar is suitable for most HVAC applications. It provides a transition from a flat surface like a plenum (made from metal, ductboard or insulated) to round pipe or insulated flexible duct. 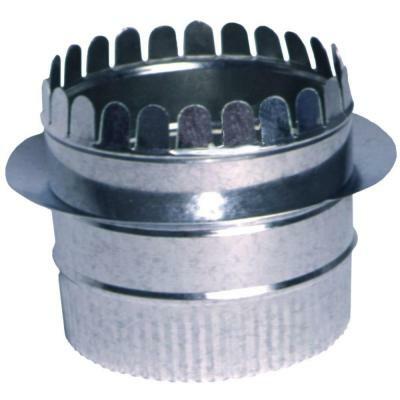 It can be used with ductboard, an internally lined or unlined plenum. This galvanized steel starting collar features extra-long tabs to fit most duct board thicknesses.